Nearly every major medical breakthrough over the past 50 years can be attributed to new discoveries that were made possible through meticulous biomedical research. Many diseases and conditions that previously took a heavy toll on patients in terms of both morbidity and mortality are now either treatable or preventable thanks in large part to painstaking research that expanded the frontiers of scientific knowledge and moved the most promising basic research developments into tangible health benefits through human clinical trails. Ongoing research is also the key that will open the door to additional major medical advances and breakthroughs in the future. Our staff at Medifocus is committed to keeping our subscribers to the Medifocus Digest Alert on Sjogren's Syndrome abreast of the latest new research developments that have recently been published in the medical literature for this condition. In this issue of the Digest Alert, you will find a focused list of hand-picked journal article references that represent the latest advances in basic and clinical research for Sjogren's Syndrome. 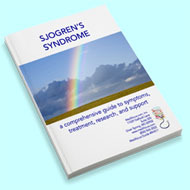 These articles represent the current state-of-the-art of the research that will hopefully lead to additional major advances and breakthroughs in the clinical management of Sjogren's Syndrome. You can access the summaries of each article referenced below by simply clicking on the article Title. We will continue to update you with the latest scientific and clinical developments through the Medifocus Digest Alert on Sjogren's Syndrome every 3 months. Thank you for your ongoing subscription to this publication. 1: Characteristics of dry eye in patients with pre-existing Sjogren's syndrome according to the revised 2016 ACR-EULAR classification criteria. Institution: Department of Ophthalmology, Chonnam National University Medical School and Hospital, Gwangju. Hospital, Gwangju. Hospital, Gwangju. Science and Technology, Daejeon. Hospital, Gwangju. Hospital, Gwangju, Korea. Hospital, Gwangju. Journal: Medicine (Baltimore). 2019 Mar;98(9):e14641. doi: 10.1097/MD.0000000000014641. 2: Aberrant IL-35 levels in patients with primary Sjogren's syndrome. Institution: Department of Laboratory Diagnosis, Changhai Hospital, Second Military Medical University, Shanghai, China. University, Shanghai, China. University, Shanghai, China. University, Shanghai, China. Liberation Army, Suzhou, China. University, Shanghai, China. Journal: Scand J Immunol. 2018 Nov;88(5):e12718. doi: 10.1111/sji.12718. Institution: Rheumatology Department, Queen Elizabeth Hospital, Edgbaston, Birmingham, UK. Journal: Lupus. 2018 Oct;27(1_suppl):32-35. doi: 10.1177/0961203318801673. 4: Interferons and Dry Eye in Sjogren's Syndrome. Institution: Department of Ophthalmology, Keio University School of Medicine, 35 Shinanomachi, Shinjuku, Tokyo 160-8582, Japan. yoko@z7.keio.jp. Shinjuku, Tokyo 160-8582, Japan. ophthalmolog1st.acek39@gmail.com. Journal: Int J Mol Sci. 2018 Nov 10;19(11). pii: ijms19113548. doi: 10.3390/ijms19113548. 5: Arthritis in primary Sjogren's syndrome: Characteristics, outcome and treatment from French multicenter retrospective study. Institution: Service de medecine interne, Hopital Saint-Antoine, APHP, Paris, France; Sorbonne Universite, INSERM, Centre de Recherche Saint-Antoine (CRSA), F-75012 Paris, France. Electronic address: arsene.mekinian@aphp.fr. ; Service de rhumatologie, Hopital du Kremlin-Bicetre, APHP, Bicetre, France. ; Service de biostatistiques medicales, Hopital Lariboisiere, APHP, France. ; Service de rhumatologie B, Hopital Cochin, Paris, France. ; Service de medecine interne, CHU de Limoges, Limoges, France. Journal: Autoimmun Rev. 2019 Jan;18(1):9-14. doi: 10.1016/j.autrev.2018.06.015. Epub 2018 Nov 5. 6: Severe, life-threatening phenotype of primary Sjogren's syndrome: clinical characterisation and outcomes in 1580 patients (GEAS-SS Registry). Institution: Lab. Autoimmune Dis. Josep Font, IDIBAPS, ICMiD, Hosp. Clinic, Barcelona; Biomedical Res. Unit 02, Clin.Epidemiol.Res. Unit, UMAE, Specialties Hosp., Western Med. Center, Mexican Inst.for Social Security, Guadalajara; & Univ. of Colima, Mexico. ; Primary Care Research Group, IDIBAPS, Centre d'Assistencia Primaria ABS Les Corts, GESCLINIC, Barcelona, Spain. ; Systemic Autoimmune Diseases Unit, Hospital Vall d'Hebron, Barcelona, Spain. ; Systemic Autoimmune Diseases Unit, Hospital Ramon y Cajal, Madrid, Spain. ; Systemic Autoimmune Diseases Unit, Complejo Hospitalario Universitario, Vigo, Spain. Journal: Clin Exp Rheumatol. 2018 May-Jun;36 Suppl 112(3):121-129. Epub 2018 Aug 14. 7: How immunological profile drives clinical phenotype of primary Sjogren's syndrome at diagnosis: analysis of 10,500 patients (Sjogren Big Data Project). Institution: Autoimmune Diseases Unit, Department of Medicine, Hospital CIMA- Sanitas, Barcelona, Spain. ; Department of Statistics, Faculty of Science and Letters, Mimar Sinan Fine Arts University, Istanbul, Turkey. ; Institute of Cellular Medicine, Newcastle University, Newcastle Upon Tyne, UK. ; Division of Clinical Immunology, Faculty of Medicine, University of Debrecen, Debrecen, Hungary. ; Arthritis and Clinical Immunology Research Program, Oklahoma Medical Research Foundation, Oklahoma City, OK, USA. Journal: Clin Exp Rheumatol. 2018 May-Jun;36 Suppl 112(3):102-112. Epub 2018 Aug 14. 8: Clinical and immunological parameters of Sjogren's syndrome. Institution: Division of Hematology, Department of Internal Medicine, Medical School, University of Patras, Patras, Greece. University of Patras, Patras, Greece. University of Patras, Patras, Greece. University of Patras, Patras, Greece. University of Patras, Patras, Greece. Greece. University of Patras, Patras, Greece. Electronic address: mouzaki@upatras.gr. Journal: Autoimmun Rev. 2018 Oct;17(10):1053-1064. doi: 10.1016/j.autrev.2018.05.005. Epub 2018 Aug 10. 9: Prevalence, severity, and predictors of dry eye and dry mouth in Chinese patients with primary Sjogren syndrome. Institution: Research Center of Clinical Medicine, Affiliated Hospital of Nantong University, 20th Xisi Road, Nantong, 226001, China. 20th Xisi Road, Nantong, 226001, China. Road, Nantong, 226001, China. m13921659817@163.com. Journal: Clin Rheumatol. 2018 Nov;37(11):2971-2979. doi: 10.1007/s10067-018-4233-9. Epub 2018 Aug 9. 10: Is it possible to apply the treat-to-target strategy in primary Sjogren's syndrome-associated pulmonary arterial hypertension? Institution: Department of Rheumatology, Peking Union Medical College Hospital, Key Laboratory of Rheumatology and Clinical Immunology, Ministry of Education, Peking Union Medical College and Chinese Academy of Medical Sciences, No. 1 Shuaifuyuan, Beijing, 100730, China. mengtaol.li@cstar.org.cn. ; Department of Cardiology, Peking Union Medical College Hospital, Peking Union Medical College and Chinese Academy of Medical Sciences, No. 1 Shuaifuyuan, Beijing, 100730, China. ; Department of Rheumatology, Peking Union Medical College Hospital, Key Laboratory of Rheumatology and Clinical Immunology, Ministry of Education, Peking Union Medical College and Chinese Academy of Medical Sciences, No. 1 Shuaifuyuan, Beijing, 100730, China. zengxfpumc@163.com. Journal: Clin Rheumatol. 2018 Nov;37(11):2989-2998. doi: 10.1007/s10067-018-4184-1. Epub 2018 Jul 24. 11: Update on Sjogren Syndrome and Other Causes of Sicca in Older Adults. Institution: Division of Rheumatology, Department of Medicine, Johns Hopkins University School of Medicine, 5200 Eastern Avenue, Suite 4000, Mason Lord Center Tower, Baltimore, MD 21224, USA; National Institute of Dental and Craniofacial Research, National Institutes of Health, 10 Center Drive, Bethesda, MD 20892, USA. Electronic address: alanbaer@jhmi.edu. Journal: Rheum Dis Clin North Am. 2018 Aug;44(3):419-436. doi: 10.1016/j.rdc.2018.03.002. 12: Cutaneous features and diagnosis of primary Sjogren syndrome: An update and review. Institution: Department of Dermatology, University of Connecticut, Farmington, Connecticut. Electronic address: jlu@uchc.edu. Journal: J Am Acad Dermatol. 2018 Oct;79(4):736-745. doi: 10.1016/j.jaad.2018.05.021. Epub 2018 May 19. Soft-cover book that is available for immediate shipping via either U.S. Priority Mail or International AirMail (outside the U.S.). Available for immediate download as a PDF document. Medifocus Digest Alert is published by Medifocus, Inc. Copyright © 2019 Medifocus, Inc. All rights reserved.